Published: Oct 19, 2017 · Modified: Apr 11, 2019 · By Jen Sobjack · This post may contain affiliate links. 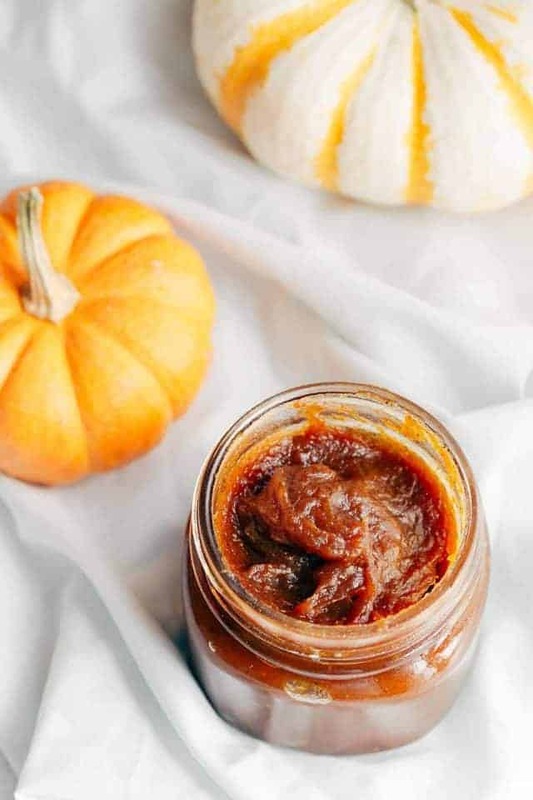 Delicious Pumpkin Jam that tastes like pumpkin pie. It’s fantastic on bagels or toast. Package this jam in decorative jars for a perfect gift this holiday season! I have been all about pumpkin EVERYTHING this season. I seriously just want to make all the things with pumpkin. 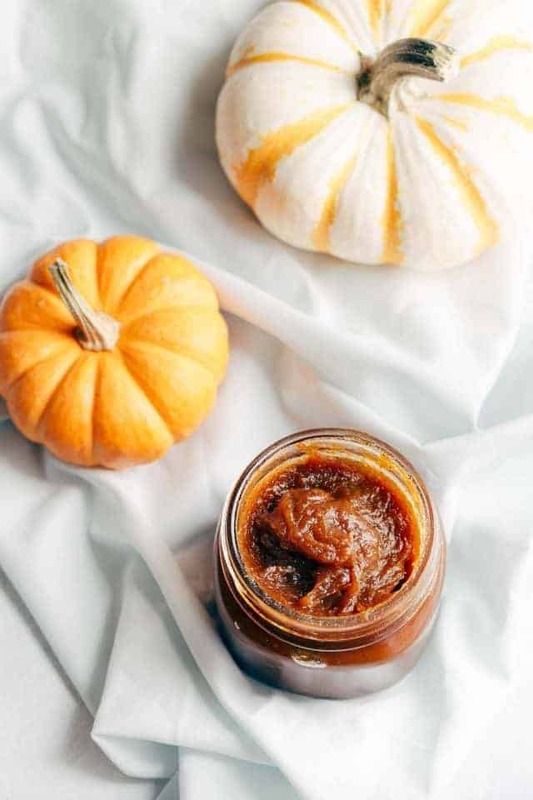 Have you ever had pumpkin jam before? It is so good, you guys! It tastes exactly like pumpkin pie. 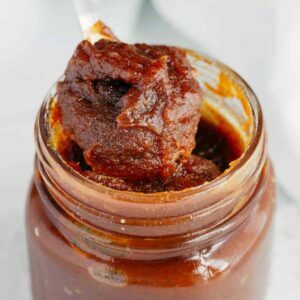 How to make pumpkin jam? This recipe is supremely easy! Canned pumpkin is used instead of fresh, making the process even easier. You basically dump everything into a pot and let it cook down until it’s thick like jam. That’s it. It takes about 20 minutes total. I used one 15-ounce can of pumpkin puree and mixed it with a couple tablespoons of fresh orange juice, cinnamon, nutmeg, ginger, allspice, cloves, salt, and sugar. All the spices are what gives the jam the familiar flavor of pumpkin pie. You could certainly leave them out or adjust them to your taste but I highly recommend you try the jam as is before you make changes to the recipe. Can I make pumpkin jam with fresh pumpkin? You certainly can. You’ll need to cook and puree the fresh pumpkin first. Then measure out 15-ounces to be used in the jam. A 3-pound pumpkin should yield enough puree for the recipe. Also, canned pumpkin puree is darker than fresh so jam made with fresh pumpkin would be much lighter in color than one pictured. Would this be a butter, like an apple butter? It does sort of resemble a butter but I’m not sure if you could call it that. 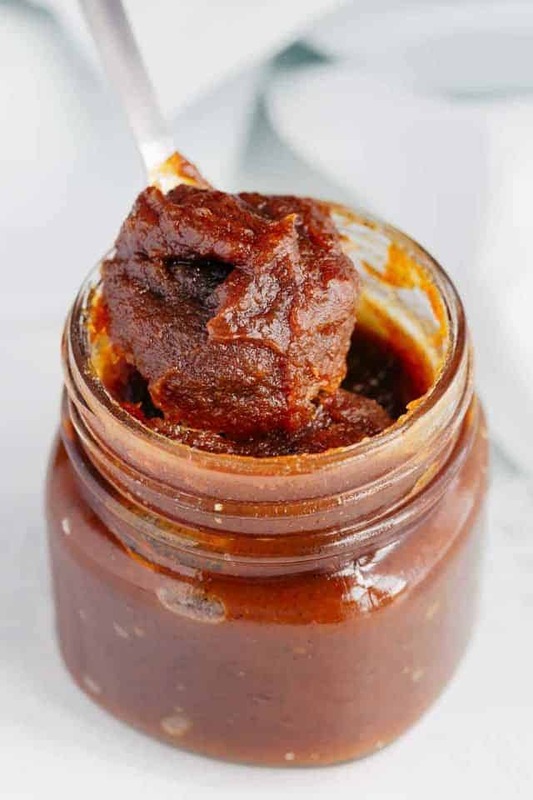 All the recipes I’ve seen for apple butter have it cooking for a long period of time. I don’t recommend reducing the amount of sugar. The sugar isn’t only a sweetener, it also acts as a preservative. This is why jams last for months. The standard for making jam is to use equal parts sugar and fruit. So for 1 cup of fruit, you’d need 1 cup of sugar. Can I preserve/can this jam? I honestly never make jam for long-term storage. It goes in the fridge and gets consumed within a month or two. If you are wanting to preserve jam for longer, here are some guidelines for canning at home and how to can safely. This Pumpkin pie jam will keep for up to 3 months stored in the refrigerator. Combine pumpkin puree, orange juices, spices, and sugar in a medium saucepan. Cook over high heat until the mixture begins to boil. Continue to cook while stirring constantly for 10 minutes or until thickened. Transfer to sterile glass jars, seal and refrigerate until ready to serve. The jam will keep for up to 3 months stored in the refrigerator.